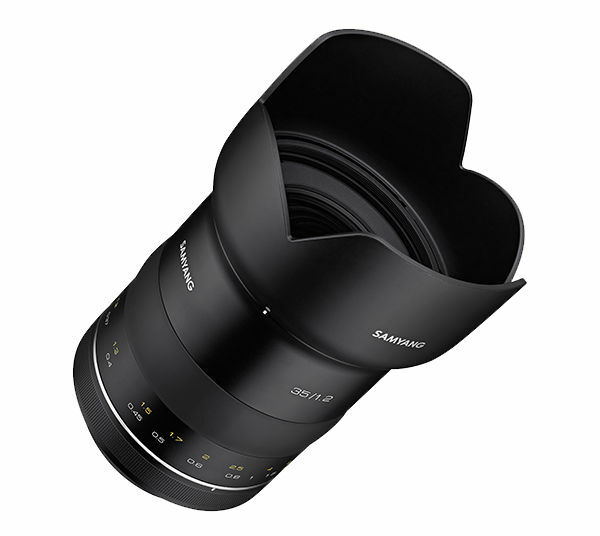 Another focal length will complement Samyang's XPert lens series. The XP 35mm F1.2 with manual focus is designed for full format and according to the manufacturer very high resolutions, 50MP or in the video range 8K. However, the optics are not particularly video-optimized -- but they are quite light-intense. The lens construction comprises 12 elements in 10 groups, including two aspherical elements, three HR lenses (high refractive) and one ED lens (extra-low dispersion). The aperture consists of new lamellas, the close-up limit is 34cm. The lens weighs approx. 1.1 kg with a length of 117.4 mm. The diameter of the tube measures max. 93mm, the filter diameter is 86mm. In January the tube will be delivered for 999 Dollars.